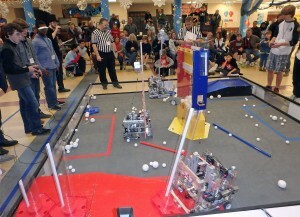 Olympia School District high school teams competed the second FIRST Tech Challenge (FTC) Olympia League Event on Saturday, December 13, at Capital High School. 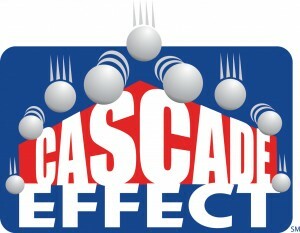 Fifteen teams from Olympia, Lacey, Tumwater and Shelton competed in the second of two League Events, which combined will determine these 15 teams’ seeding at the Southern Washington Inter-League Championships on January 10, 2015 at Wilson High School in Tacoma. Both Avanti High School teams had a great day. The Avanti Avengers (#4448) ended the day in first place with seven wins and a tie in their eight matches. 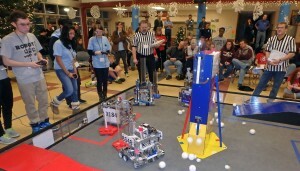 Their schoolmates, the Avanti Avengers (#8545), ranked immediately behind them in second place with six wins and a tie. This top-two finish will serve Avanti well as these results will be combined with their first league match results to determine their ranking among the 30+ teams in Southwest Washington going into the Championships next month. 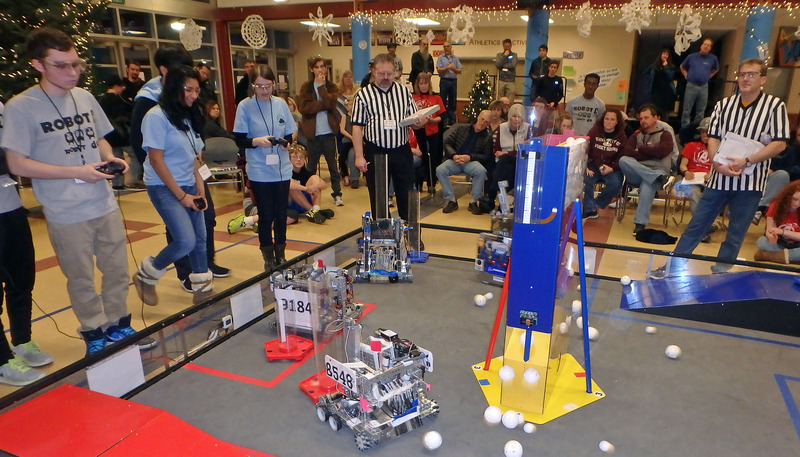 Four other OSD teams ended up in the top nine at the competition. Bearly Digital (team #8547) finished right behind the Avanti teams in third place with six wins. 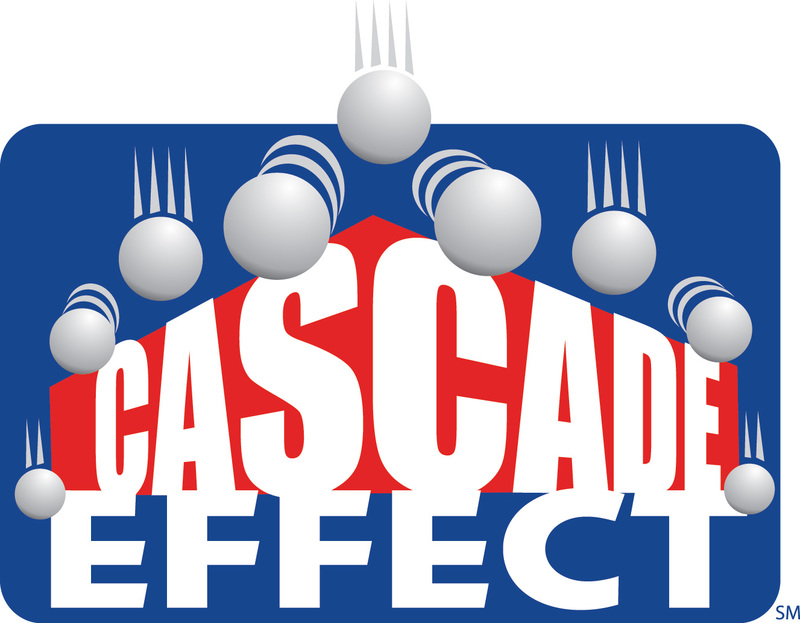 The Capital Gear Grinders from Capital High School (#5061) placed sixth with five wins, while the Blueberries (team #9184), also from Olympia High School, finished in eighth. Finally, Oly Cow (team #6424) from Olympia High School will combine their ninth place finish with their second place finish last time going into the Inter-League Championships. 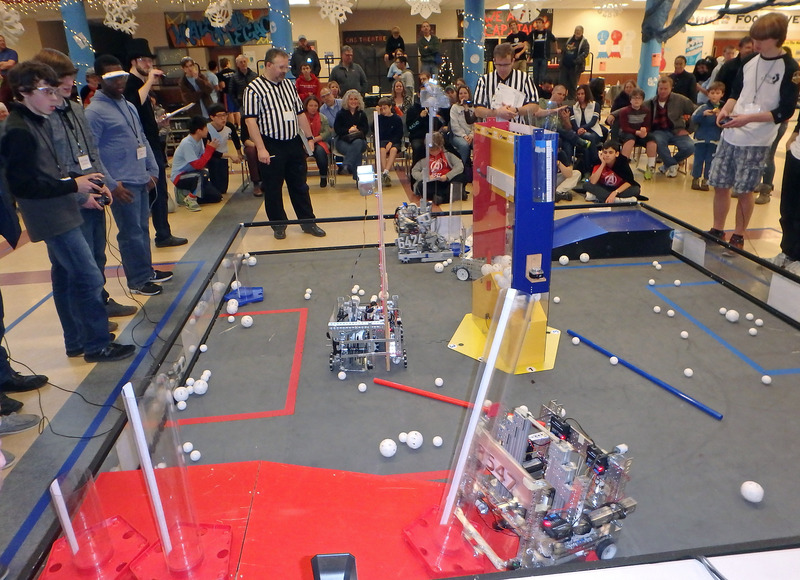 All the students from each team learned a tremendous amount in this second match of the 2014 season, testing their increasingly sophisticated robots in the heat of head-to-head competition. Rookie and veteran teams alike all now have four weeks to refine their robots before taking on teams from the Centralia and Vancouver Leagues. Admission is free at the Southwest Washington FTC Championships at Wilson High School in Tacoma on Saturday, January 10. 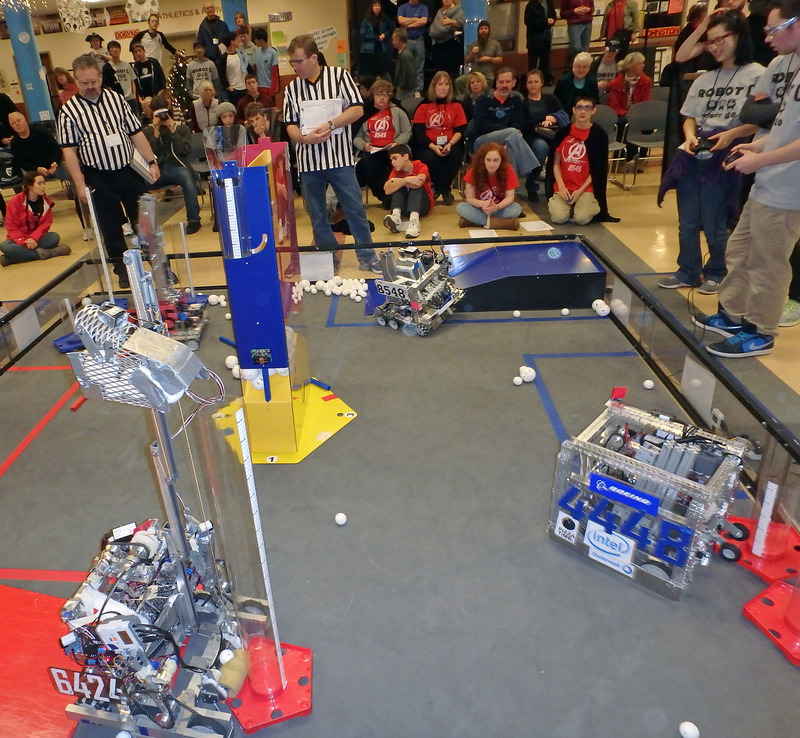 The public is welcome to come and cheer on our OSD teams in “Robotics as a Sport” as they try to earn some of the eight slots to the Washington State FTC Championships on January 31 Matches will begin 11:00.